The official site has reported that Lukas Podolski has been honored with the prestigious Player of the Month award for April. This is an award that has been dominated by Aaron Ramsey for a considerable chunk of the season but his injury paved the way for others to step up a plate. Podolski receives this award after a good goalscoring run that saw him score four goals in the five games he played in the course of the month. He even managed to amass 90 minutes in some games, a feat that seems to be a rarity in recent times. In honor of Podolski, Gooner Daily has decided to review his performances in the course of the month to ascertain why he was favored ahead of FA Cup semifinal penalty-saving hero, Lukasz Fabianski and everyone’s favourite, Aaron Ramsey. Arsenal began the month of April with the last tough fixture of those run of games that saw the Gunners take on some big sides which had a detrimental effect on the Gunners title charge. Podolski started against Everton but he and his teammates had bad days in the office as the Toffees ran riot on Arsenal scoring three goals which put Arsenal’s Champions League hopes on a thin thread. Shortly after the Everton debacle, Arsenal had an all-important clash against Wigan Athletic and Per Mertesacker was on the spotlight as he was directly involved in the goals scored by both teams. Podolski had a somewhat peripheral outing against the Championship outfit and he was even substituted, much to his disgust. Fabianski became the hero as his saves played a role in Arsenal’s booking a place in the final. With a place in Wembley secured, Arsenal faced West Ham just two days after and they had enough in the tank to see out Sam Allardyce’s team. Podolski was key as he took his chances clinically with two goals that helped Arsenal grab all three points. Podolski’s hot streak continued as he blasted in another brace against Hull to make it an amazing four goals in two games. Arsenal’s last match of the month was against Newcastle and Podolski had another chance to get on the score sheet but his attempt on goal missed the target by a lick of paint. With these performances, the fans felt justified in voting for the German machine and in my honest opinion, it’s well deserved. According to Who Scored, Podolski has scored eight goals in 18 Premier League games (12 starts) and he averages 1.8 shots per game. Podolski is one of the highest earners at the team and he suffered a hamstring tear in Autumn, since his return to full fitness, he struggled to command a first-team berth and he found himself out of favor with the likes of Alex Oxlade-Chamberlain and Tomas Rosicky above him in the pecking order. He has been getting a consistent run of games on the left wing and it’s good to know that he has been scoring some vital goals that has helped the club surge for a fourth place finish. Arsenal’s Player of the Month for April. After a frantic wait, the Gunners finally had a golden opportunity to give themselves some breathing space in the race for Champions League qualification after Everton stumbled against Southampton on Saturday. As expected, Arsene Wenger fielded an unchanged lineup from the side that was victorious against Hull but the dugout had a lot of quality options. Arsenal came out of their shells early with some ‎intricate passing play between Mesut Ozil, Aaron Ramsey and Santi Cazorla . When the ball fell to Lukas Podolski’s feet, the Emirates held its breath as the fans expected another thunderbolt from that evil left foot of his but he chose to tee up Nacho Monreal whose cross was blocked. After Ozil had lashed a shot just wide off the mark, Ramsey and Giroud connected well to instigate an attack but the final ball from Ramsey didn’t match his French teammate’s expectations. Shortly afterwards, Moussa Sissoko went all Messi on the Arsenal defense but his effort was blasted over the bar. Arsenal broke the deadlock when Laurent Koscielny latched on to a Santi Cazorla cross to fire the ball past Tim Krul. It had the same Shaolin soccer style of last season but Arsenal fans didn’t care. Podolski had another half chance that was saved but Newcastle almost got an equalizer when Cheick Tiote blasted a shot that was smothered by Szczesny. Ozil’s deft touch to Bacary Sagna saw the fullback surge forward before crossing a ball that was blocked before it reached Giroud’s path. Giroud had the chance to make it two but after he went sent clean on goal, he blasted the ball straight at Krul before firing another shot that deflected off Krul to Ozil’s path. With such a gift coming on a platter, the German schemer graciously accepted it, blasting the ball into an unguarded net. Ozil then chose to wow the crowd with a magnificent piece of individual skill, leaving poor ol’ Gouffran to eat his dust. Santi Cazorla had a chance to make it three but he blasted his effort over the bar. This season, the goals haven’t flowed for the Spanish magician as his last goal for the club came in the 2-2 draw against Southampton, a period when he was going through a purple patch of goalscoring form. Koscielny lurked on the blind side of the Newcastle defense but his tame shot was some way off his intended target. On the other end, Remy teed up Gouffran that saw off the challenge of Koscielny before blasting his shot straight at Szczesny. Arsenal hit the final nail in Newcastle’s coffin when Ramsey threaded a neat ball to Ozil that wasted no time in lofting a cross for Giroud. The Frenchman obliged with a good header that left Krul for dead. Ozil was pulling all the strings in midfield and he cushioned a pass for Podolski that was hit with a first-timed shot but the ball sailed wide off the mark. The manager chose to bring on the experienced heads of Tomas Rosicky and Mathieu Flamini for Ozil and Ramsey. At the death, Yaya Sanogo replaced Giroud. The French lad almost had a chance to score his maiden Arsenal goal but the offside flag spared Newcastle’s blushes. Late on, there was a penalty claim for Rosicky that fell on deaf ears and Arteta fashioned a chance for Monreal that was fired straight at the goalie, while Sanogo was free. Podolski’s rebound hit the roof of the net. Bonus Reading: Ranking the Last 18 St. Totteringham’s Days by James McNicholas of Bleacher Report. The drama in the Premier League continued on both ends of the table as Fulham blew their chances of coming out of the bottom three after dropping points against Hull. Sunderland capitalized on that error with a win over fellow strugglers, Cardiff, to breath some fresh air above relegation waters. At the top, Liverpool threw open the title race with a loss to Chelsea, and with Manchester City getting a win against high-flying Crystal Palace, it’s going down the wire for the Premier League trophy. 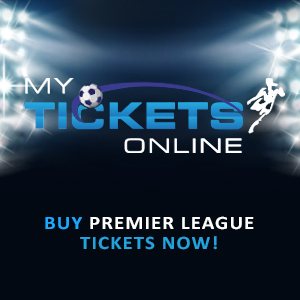 Tonight, the business of the day remains Champions League qualification and with Everton capitulating in grand style against Southampton, Arsenal has a chance of going four points clear with a win against the out-of-sorts Newcastle. Since Alan Pardew’s infamous headbutt incident that saw him sanctioned with a seven-game ban, Newcastle has lost six of these games and he’ll get a chance to return to the dugout tonight at the Emirates, a ground he got spanked 7-3 last season. Newcastle’s cause wouldn’t be helped with the fact that Arsenal’s record at home this season has been good and the Gunners have not lost a game at the Emirates in the League since the opening day defeat to Aston Villa back in August 2013. Arsenal have scored in all but two of their home league matches this season – the exceptions were 0-0 draws with Chelsea & Man Utd. “I think I will sit down a little bit more, but I still will be on the touchline,” he said. “It’s important that the team sees I’m there – we are a team and I am part of that. However, Wenger’s focus would be on tonight’s game and he would be hoping that his team would put up a good performance that would see them a breather from Everton. 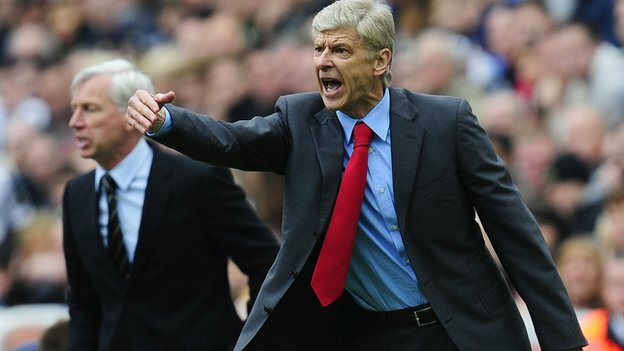 Arsenal have won their last four league matches against Newcastle and are unbeaten in six against the Magpies. However, they have failed to keep a clean sheet in their last four home matches in the Premier League. Newcastle on the other hand, has scored just one goal in their last five league matches, and conceded 14 in that time. They have also scored a meager 10 goals in 2014, the lowest for any team in the Premier League. To injuries, Thomas Vermaelen is set to return from his injury outlay but the Gunners would be without Gibbs, Miyaichi (both hamstring), Gnabry (knee), Diaby, Walcott (both knee), Wilshere (foot). Newcastle also have their injury problems to contend with as Sa Ameobi (ankle), Ben Arfa (dead leg), Obertan, R Taylor (both knee), Santon (hamstring) are out of action. I envisage that the Gunners would start with their usual 4-2-3-1 tactical setup. As expected, Szczesny would keep his place in goal and I also don’t expect the back line to change after successfully keeping a clean sheet against Hull. With Vermaelen fully fit, I would expect him to start from the dugout with Nacho Monreal retaining his place. In central midfield, Mathieu Flamini is available from his suspension but I expect him to return to the team with Aaron Ramsey and Mikel Arteta working well together. If it’s not broken, don’t fix it. Mesut Ozil is returning to full fitness and I would be hopeful for an improved performance in the attacking midfield slot but he would have Lukas Podolski and Santi Cazorla providing width from the flanks. Olivier Giroud would play up front on his own as it as always been this season. For Newcastle, their injury worries would be softened with the fact that Loic Remy is on his way to full fitness and they would be expecting him to add some firepower to their attack even if the goals have been drying up for the mercurial French forward. Fabricio Coloccini and Mark Williamson have been part of a woeful defense that has been conceding goals from all corners of the Earth and I feel the trend will continue tomorrow with the kind of attacking talents the Gunners have in their disposal. 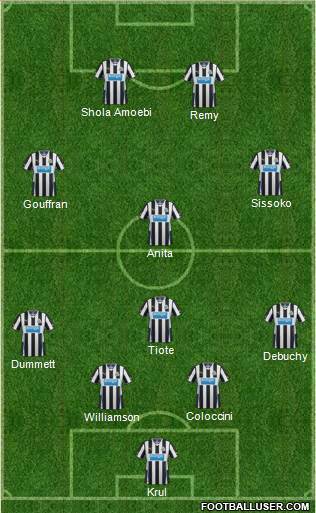 Cheick Tiote will do his bit to protect his back line and he will be supported by Vurnon Anita. The French duo of Yoan Gouffran and Moussa Sissoko will maraud the flanks to support Remy and Shola Amoebi. The referee is Neil Swarbrick and he has brandished 63 yellow cards and no red card in the 18 games he has officiated this season. Maybe Tiote might break the ref’s red card duck if he decides to go all gung ho on Arsenal’s attacking midfielders.